In contrast to gas, which is sometimes difficult to find in another country and may have an incompatible connection, gas oil is available almost everywhere on earth. In contrast to gas, which requires using a protected circuit that closes off the gas supply in case of impact, fuel heating can be used while on the road, permanently and with total safety. In addition to road comfort for your passengers, you’ll appreciate finding a cozy, warm unit when you stop. Many of our competitors propose this choice in option, while others don’t have it at all. Just a glance at the fuel gauge on your dashboard will tell you whether you have enough left. Forget disagreeable surprises and changing cylinders in the middle of the night. 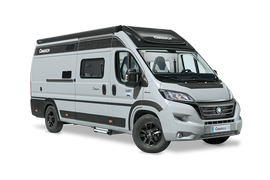 With Chausson, you won’t have to bother with gas cylinders. Only the refrigerator, the hot plate and sometimes the water heater are connected to a gas supply. 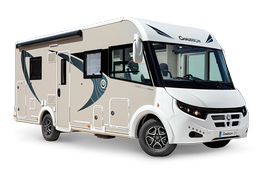 Choosing gas oil heating also means lightening the loaded weight of the motorhome. Two 13 kg gas cylinders really weigh 52 kg (13 kg corresponds to contents only). Not having to bring them along represents a significant reduction in weight.